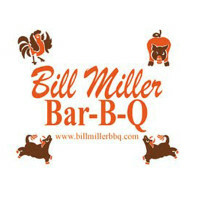 Bill Miller Bar-B-Q is a chain of restaurants with an emphasis on the barbecue side of things. To see what different career paths are available to you and to find out how to apply for Bill Miller Bar-B-Q online, follow the link at the bottom of the page to get started on your Bill Miller Bar-B-Q application. The company was founded by husband and wife team, William “Bill” Miller and Ila Faye Miller in 1953. Bill Miller started the company with just $500 originally, but has grown it into a successful business. The company headquarters are located now in San Antonio, Texas and there are now 67 different locations in Texas. On the menu there is a wide range of barbecue favorites and traditional Texas foods. They serve breakfast, lunch and dinner. You’ll be able to find biscuits, griddle cakes and full breakfasts in their morning menu, and for later on, sandwiches, chicken, ribs and of course, iced tea. You can also find these options in their catering services. The other part of their service is the bakery. The bakery operates on a 24 hour a day basis. They make fresh bread daily along with a range of sweet desserts. You can either enjoy them at their restaurant or take them to enjoy at home. Their range includes meringues, pies, brownies and cobblers. If you search Bill Miller Bar-B-Q jobs online you can see the different careers sections you can apply for. At the restaurant and bakery locations the positions include Cashiers and Bussers, Bakers, Cooks, Assistant Managers and General Managers. Starting at entry-level, there are many job opportunities with further training to help you move up the management ladder. If you are interested in Bill Miller Bar-B-Q careers at their corporate headquarters you can search and go via recruiters to submit applications. Jobs will include roles in IT, Human Resources, Accounting and Finance. You will find there are many possibilities for a successful career once you submit a Bill Miller Bar-B-Q application. How old do you have to be to work at Bill Miller Bar-B-Q? You must be at least 18 years old or over to apply for Bill Miller Bar-B-Q. The benefits to Bill Miller Bar-B-Q jobs will depend on your specific job description. Eligible employees will be able to enjoy the perks of healthcare options including medical, dental and vision insurance. There will also be other options such as 401(k) retirement plans that are company matched. Workers will also be able to enjoy discounts on meals. The hours of operation are from 6.30am until 9pm Monday to Friday, 7am to 9pm on Saturdays and 8am until 9pm on Sundays. Cook – Cooks will need to know the menu well so that they can accurately prepare the different items to the expected standards. You’ll need to be knowledgeable about food preparation and hygiene standards when working in a kitchen. The average salary for this position is usually around $25k a year. Busser – The responsibilities of a Busser are fairly standard from day to day. You’ll need to make sure that the restaurant is kept clean, tidy and welcoming for the customers. Although customer interaction is minimal you will still need to have a good attitude when it comes to talking with new people. Bussers usually make minimum wage. Cashier – In this role you will be expected to deliver high quality customer service when taking orders and processing transactions. You will need to assist with any customer enquiries and help in other daily restaurant tasks. A friendly and approachable attitude is very important. Cashiers usually make up to $18k/year. General Manager – In this position you will have a lot of responsibility including overseeing all the day-to-day tasks involved in running the restaurant, hiring, managing and training staff, handling back office administration and ensuring the restaurant keeps to the highest standards of food preparation hygiene and customer service. The salary is around $50k/year. When you apply for Bill Miller Bar-B-Q jobs make sure you are well prepared for the interview by practicing some typical questions. Why do you want to work here? You’ll need to show enthusiasm for the industry and the restaurant in particular. It often helps to do some research on the company and their products before you go. How do you cope under pressure? This can be a fast-paced environment and so you will need to show that you will be able to cope with busy situations because you will need to keep a cool head. What experience do you have working in a team? If you don’t have any professional experience then you can mention any times you’ve worked in a team at school or college, like a sports team. Make sure you pick a successful experience. Are you good at multitasking? You will need to be able to serve multiple customers or prepare different orders at once so it would be good here to give an example of when you have had to handle similar situations. What is your biggest weakness? This question will test your ability to turn negatives into positives. Talk about what you have learnt from your weaknesses and how you are going about trying to improve. You can make a Bill Miller Bar-B-Q job application online by using the link below to see the different career areas. They don’t have an online application form or a way to upload your resume. Instead you will need to submit a direct application to one of their local restaurants by contacting them in person. You can’t download a printable application for Bill Miller Bar-B-Q for the various job opportunities. As you can’t apply online you will need to take a trip to your local restaurant and pick up a free application form and hand it in to the manager there. Make sure you are well presented when you meet the manager. You should always do some preparatory work before an interview. You should expect to answer behavioral questions and questions about your previous employment experience. Always bring a spare copy of your resume with you to your interview even if you have already submitted one previously. Also come up with a few questions of your own. At the interview make sure you are dressed smartly, even if you’re applying for an entry-level position because it shows that you are dedicated to the opportunity. Keep a friendly and positive attitude throughout the interview, although you should always remain professional. Maintain eye contact with the person opposite and remember to smile. Joe’s Crab Shack: For employment at Joe’s Crab Shack visit the application page. Bob Evans: See our guide for careers at Bob Evans. Claim Jumper: For employment at Claim Jumper visit the application page. Bonefish Grill: Visit the Bonefish Grill application. Shoney’s: See this page for jobs at Shoney’s.